Clearance(mm): 17 Horz. x 16 Vert. Convenience and quality is the trademark of the new CP40 range. 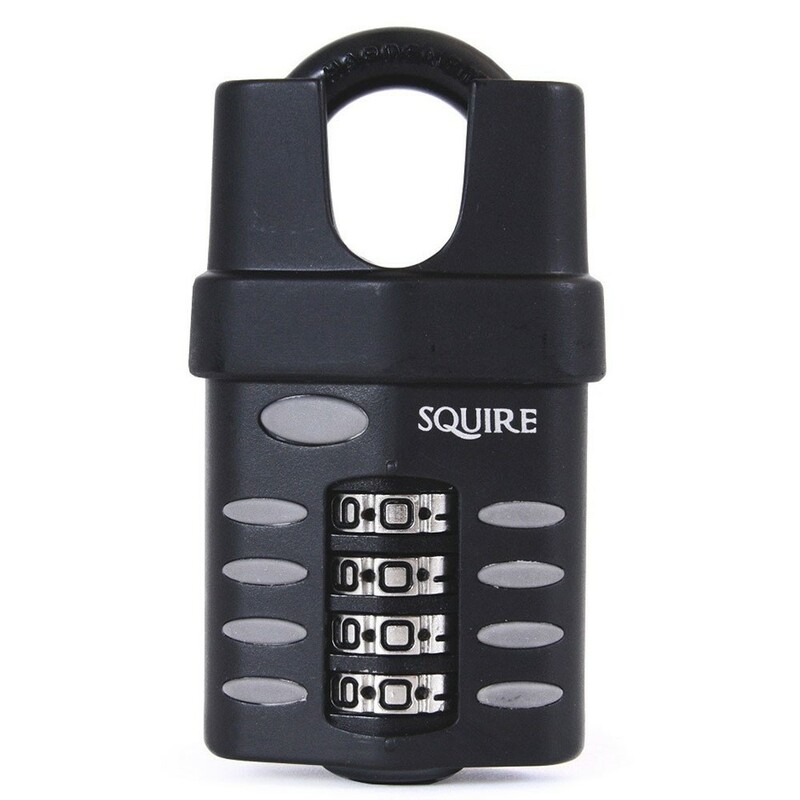 With its modern design, it answers all your customer needs for a better quality, easy to use combination padlock. It features a hardened steel 6mm diameter shackle, a 40mm wide die cast alloy lock body with dual compound cover and 4 easy to use spaced wheels. It's unique recodable double locking mechanism offers 10,000 combinations and has a push button spring opening mechanism for ease of use. The CP40 is available in open shackle, closed shackle and extra long shackle variants. Recommended for sheds, lorries, lockups, tool boxes and storage areas.